Finding an affordable apartment or home in Brooklyn is not an easy task and once you find one for a good price in a neighborhood you like you are anxious to move in. Unfortunately, that sometimes means that along with packing up and moving out of your old and apartment and into a new one, there may be a lot of cleaning to do. We here at Brooklyn carpet cleaning, can help make the cleaning part of your move easier for you by cleaning the carpeting in either or both your old apartment or new so that everything is clean and fresh for you to get your cleaning deposit back, or have spotless clean carpets in your new home. Of course you all know and understand why you should clean the carpeting in the apartment you are moving out of. The way you leave an apartment is not only a reflection on you, but can affect your ability to rent another apartment in the future. Getting those praiseworthy rental references when you need them can make the difference between getting the apartment you really want and one that may not be quite so nice or convenient to your needs. Part of that reference is going to be based on how clean you leave the apartment when you move so want that everything in the apartment you are vacating to look as nice as when you moved in or even better. Cleaning the carpeting in your new apartment could be important as well. If if the rental company or landlord has cleaned the apartment from top to bottom when the last renters left or hire a carpet cleaning company to clean the carpets in your new apartment, there is no guarantee that the carpets are as clean as you may like them and you have no way of knowing if the carpet cleaning products that were used left behind chemical residue that may be harmful to your children or pets, or even to your own health. Which makes choosing a carpet cleaning trust and know uses child and pet safe carpet cleaners a must. Why Choose Brooklyn Carpet Cleaning? You probably have been lead to believe that one carpet cleaning service is as good another, however, nothing could be further from the truth. Not every carpet cleaning service is as dedicated to their customers as we are. We only hire the very best and most trustworthy carpet technicians, because we don’t want to place anyone in your home that we wouldn’t trust or be comfortable having in our home. In addition, we aren’t one of those of those carpet cleaning services, that will here today and gone tomorrow. We have years of experience cleaning every type of carpet imaginable and we take great pride in what we do and how we do it, which is just one of the reasons why we are a fully licensed and insured carpet cleaning service. While we do make a good living from our business, much of what we earn goes back into the business, because we want our customers to have the best experience possible. We make sure that we have state of the art steaming cleaning equipment and keep that equipment in tip top condition, because carpet cleaning knowledge is nothing without the right equipment to get the job and done right. We also made the decision to use only organic cleaning products so that when we are done cleaning your carpets, they not only look and smell clean, but there is no harmful chemical residue left behind that can be harmful to children, pets or your health. Last but not least, we offer a free consultation to all of our new and potential customers so that we can properly access you needs, explaining our cleaning processes and machines, and answer any questions you may have about our service. Why? Because when all is said and done we want you to feel as good about our services as we do. We know not everyone in Brooklyn works a 9 to 5 job, so it simply wouldn’t make any sense if we only offered our service from 9 to 5 which is why we are open from 8 to 8 so we can accommodate your schedule not ours. 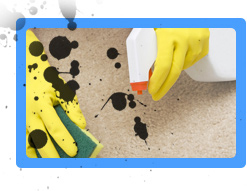 In addition, we also offer same day service, so that when you find a spare day and want to have your carpets cleaned that day, then we will oblige you. Use boiled water based steaming to remove dirt and dust and start killing any germs and bacteria lingering in your carpet. We Shampoo with formidable organic solutions that reach deep down in your carpet fibers to clean that pile from top to bottom. Our deep cleaning process can bring that carpeting back to near original condition. Our Microbial process removes any sanitary concerns you may have and leaves your carpet clean and fresh with no lingering chemical residue that can dull the look of your carpet or be hazardous to children or pets. So whether you are moving in or out of that new home or simply are looking to maintain your carpets appearance and increase it’s longevity then why not give us a call, email us, or speak to one our representatives right here on the site and find out what we can do to help you maintain those carpets in your home. "I was very pleased with the cleaning provided by Carpet Cleaning Brooklyn, NY. They were polite and efficient and all stains were completely removed. I would use this company again and would recommend them to friends." "Carpet Cleaning Brooklyn, NY did a fantastic job with my carpet. 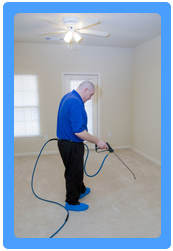 They were timely, efficient and left my stained carpet looking practically new."